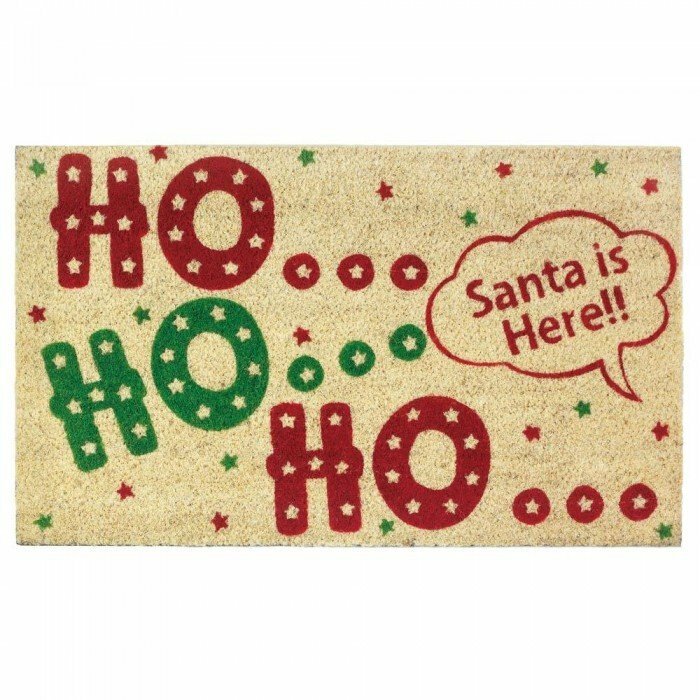 HO HO HO WELCOME MAT by Christmas Collection home decor, jewelry, decor, decorations, electronics, fountains, floor mats, art glass, vases, garden essentials, fireplace screens. Good Ol' Saint Nick will feel right at home this holiday season when you place this fun mat right outside your front door. The lively design features Santa's catch phrase, "Ho, Ho, Ho" and a cartoon speech bubble that says, "Santa is here!!" Material(s): COIR PVC. Weight 4.4 pounds. Dimensions 30" x 18" x 0.5."